For Halloween, Darling Girl Cosmetics has released a collection of 12 eyeshadows and a 2 lip colors in honor of the famous scream-queens from classic horror films. 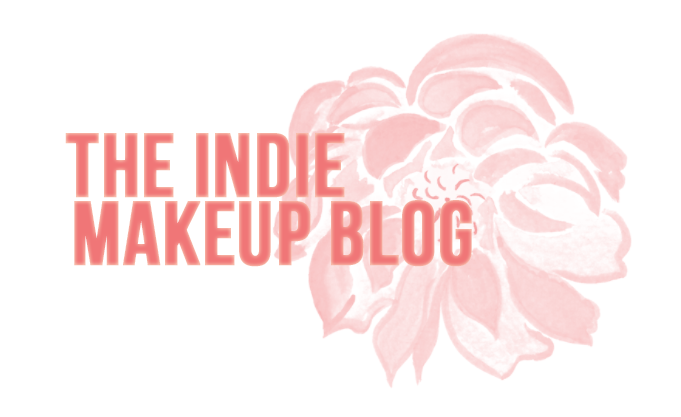 I've had this collection waiting to be swatched for an embarassingly long amount of time but it's given me time to try out a couple of looks so stay tuned for that at the bottom of the post. Queens of Horror is a limited edition collection and will be going away after Halloween permanent collection. Petit sizes are available for $2.50 and full sizes are $5.90. Full sizes come with custom label artwork but there is a separate listing here for label art stickers if you want petit sizes. 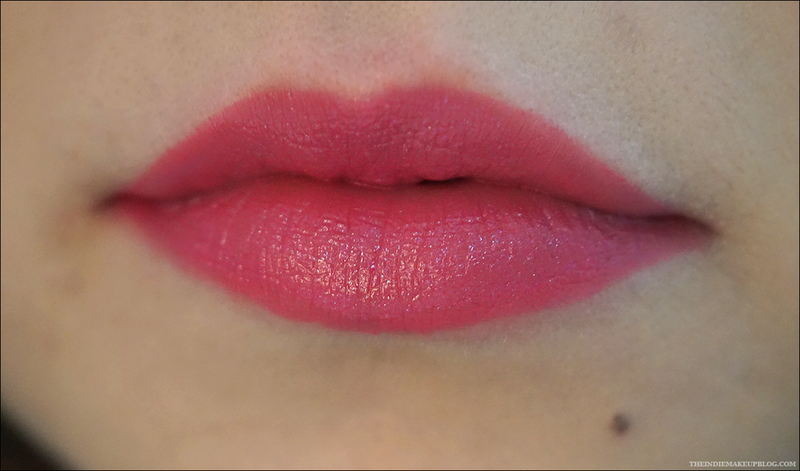 The lip colors are available as full size only. 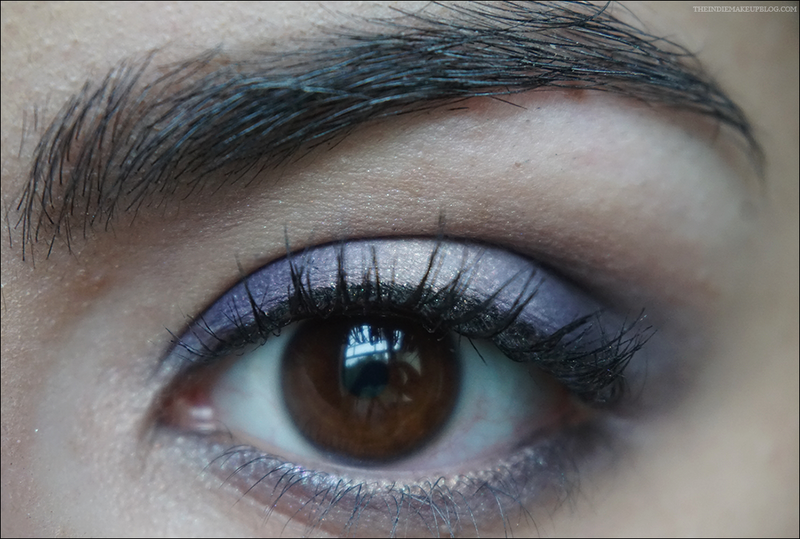 The collection is heavy on the greens and purples, with a couple of other shades thrown in the mix for variety. I'm Into Survival is a hot pink gloss with blue and purple microsparkles. DG's balmgloss line are one of my favorite items in the shop. They have a comfortable formula that's not too sticky and they're nice and opaque. They're also relatively inexpensive at $5.50 each. The other lip color in this collection is Mistress of Darkness Pucker Paint which is described as a ruby red base loaded with violet pearl. 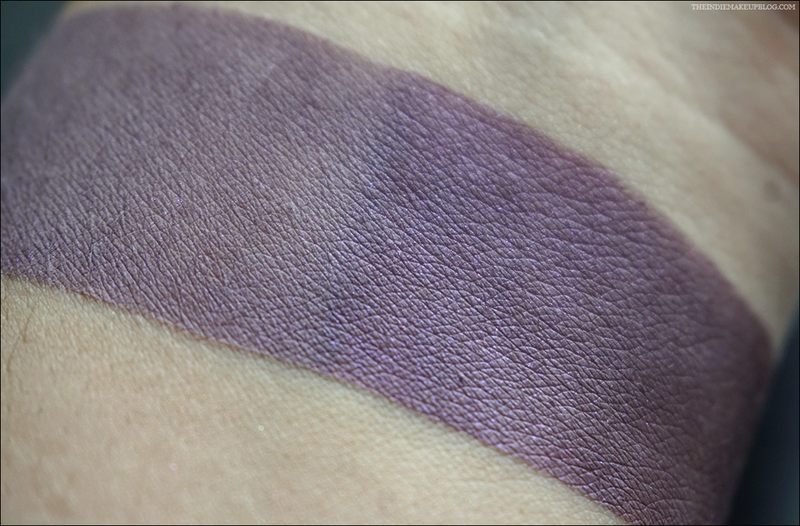 I don't have this shade as I'm not the biggest purple fan on myself but if you like purple lip colors this may be more up your alley. Queen of Scream is a peachy copper with lots of gold and pink sparkle. 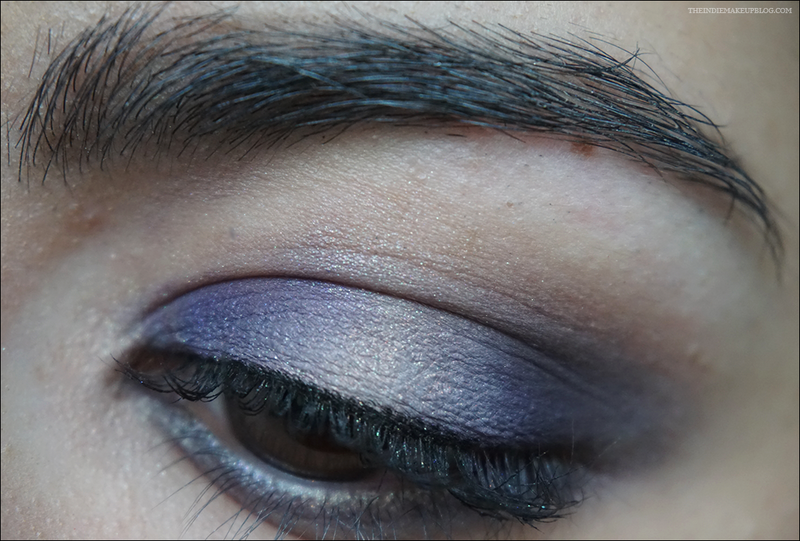 When I received this collection, this was the color I reached for first. 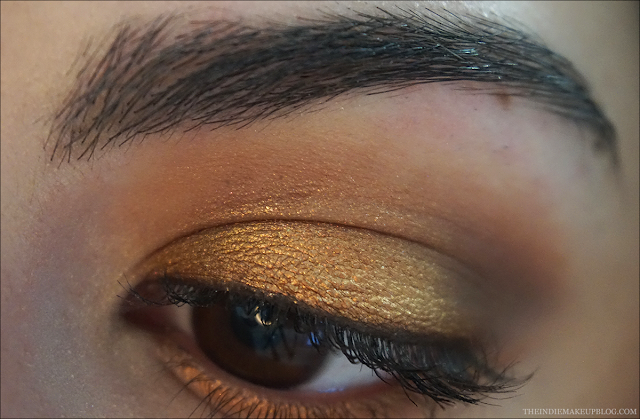 You guys may have noticed that I've been obsessed with orange and copper shades lately and this one is a gorgeous addition. 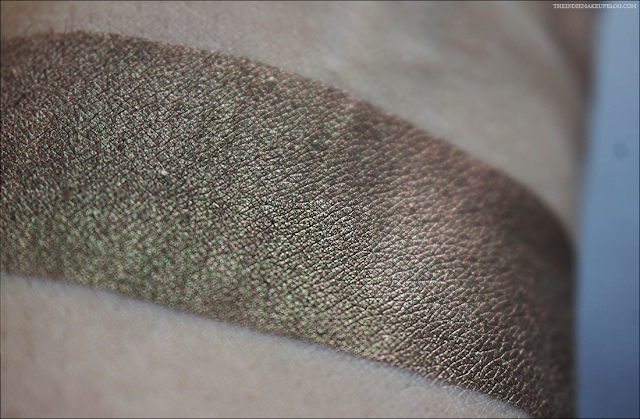 Now as is the case with most of the sparkly shades in this collection, I would suggest using a sticky base if you're concerned about fallout as they colors are heavy on the sparkle! 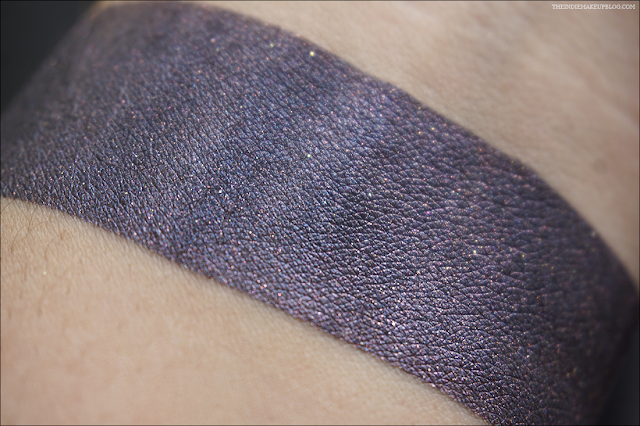 Shower Scream is an aqua blue with a subtle pink sheen and blue sparkle. The sheen was more apparent in person. I did have some trouble with lighting not showing some of these colors as vibrant as they are in real life so I'll make sure to notate which ones were more vivid in person. 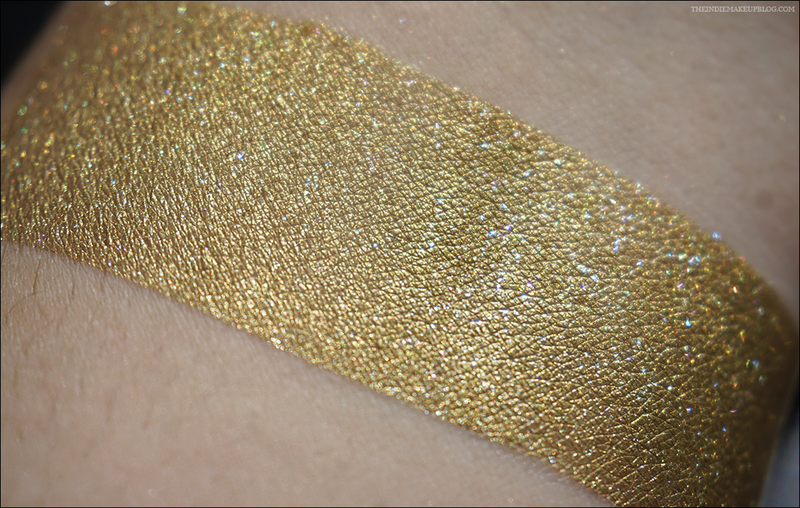 Possessed Princess is a chartreuse gold with blue sparkles and light purple shimmer. 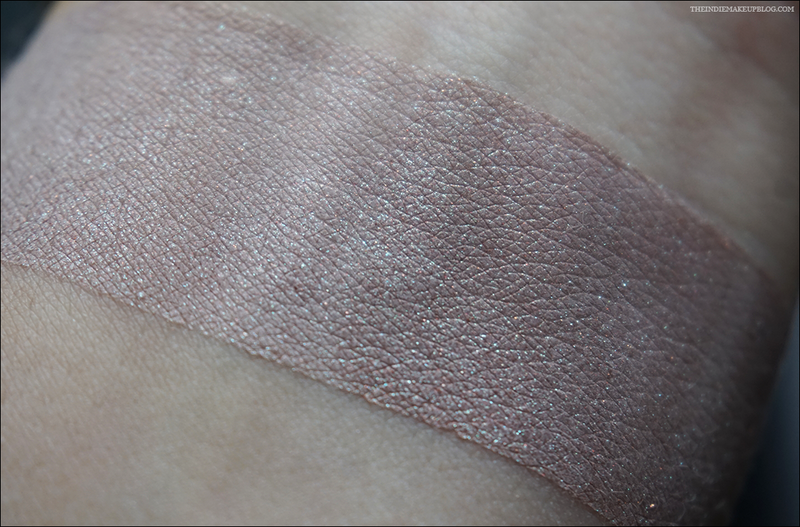 This is a pretty complex shade as there's a lot of different tones with the sparkles against the base color. 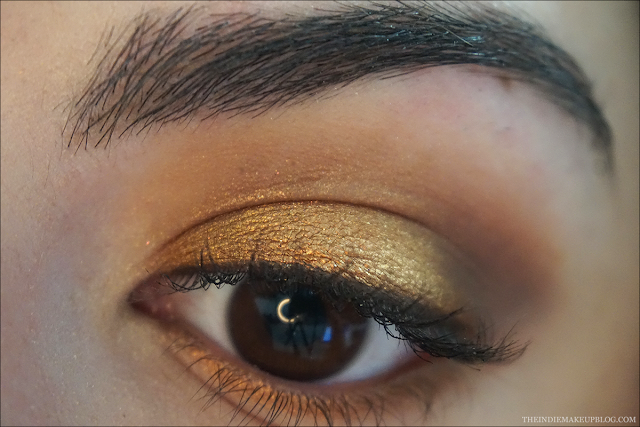 It's more green than a lot of other golds on the market and I really dig it. 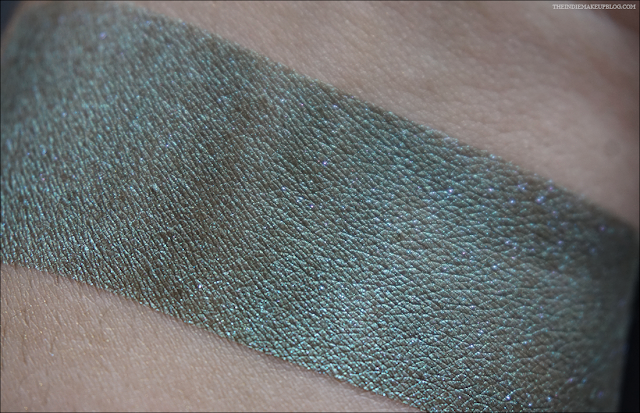 You B*tch is a dark greenish grey base with a soft teal overlay. 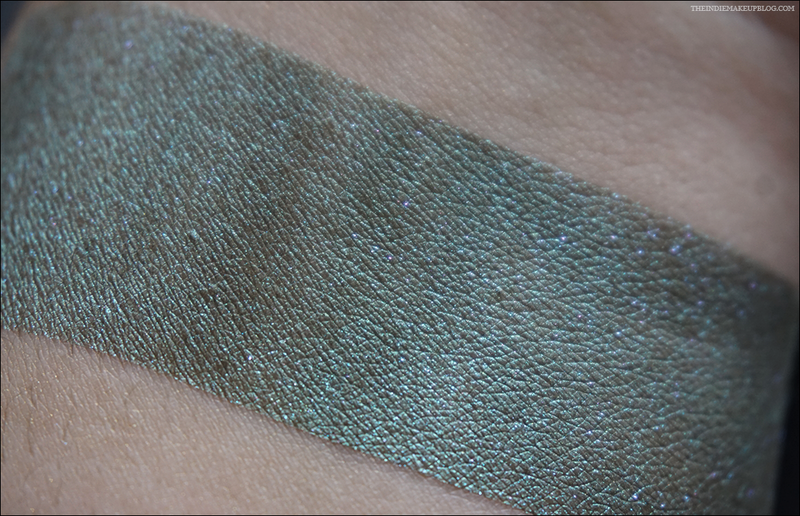 The teal effect is really strong on this color on regular primer too. 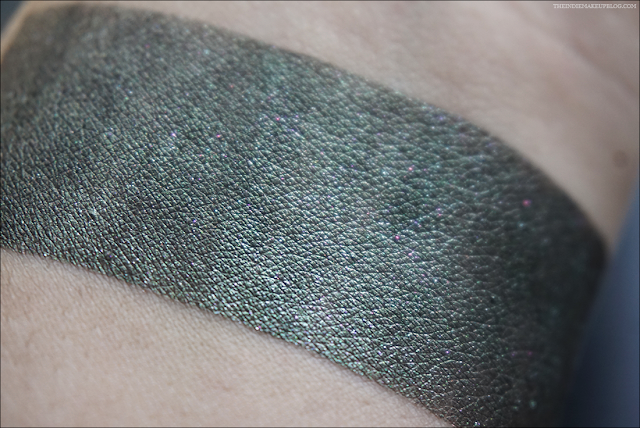 Married to the Macabre is a charcoal brown base with heavy bright green sheen that shifts to a bronzey gold in certain lighting. 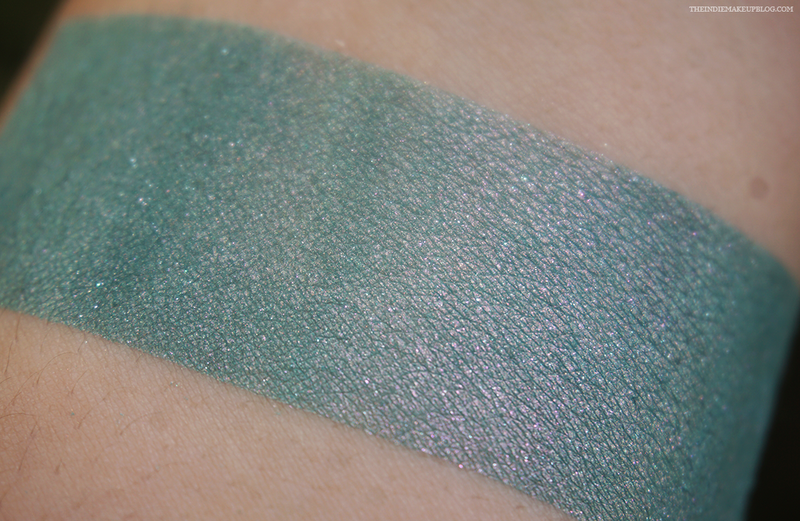 I'm really bummed with my lighting here because the green shift is super pretty and vivid in person. This color also has a wonderful formula. 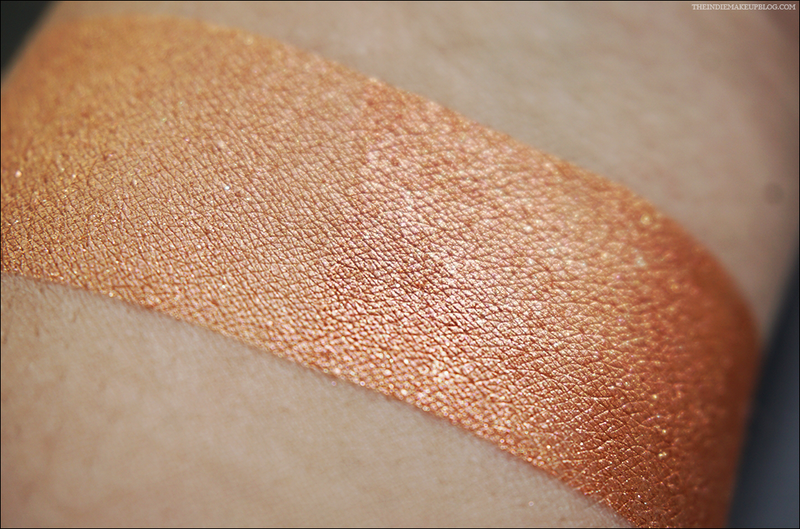 Take a look at that reddish bronze shift! I think this will definitely be the collective favorite and I'd love to see this made permanent. The shift on this color reminds me of Fyrinnae Steampunk so I'll make sure to do a comparison between those shades in my upcoming dupe comparison post. The Bride is a blackened green base with green shimmer and silver iridescence. I know this is supposed to be inspired by the Bride of Frankenstein but I personally like to think of This Bride instead. 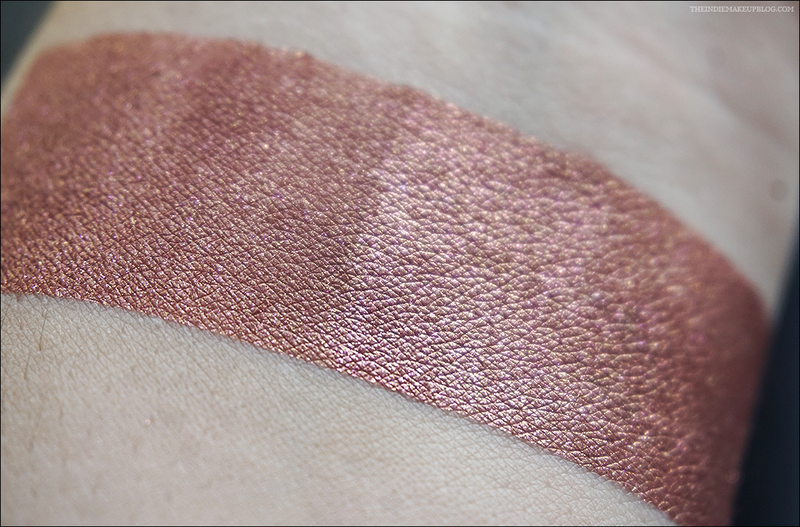 Prom Queen is a red with a bronze hue and pink shimmer. 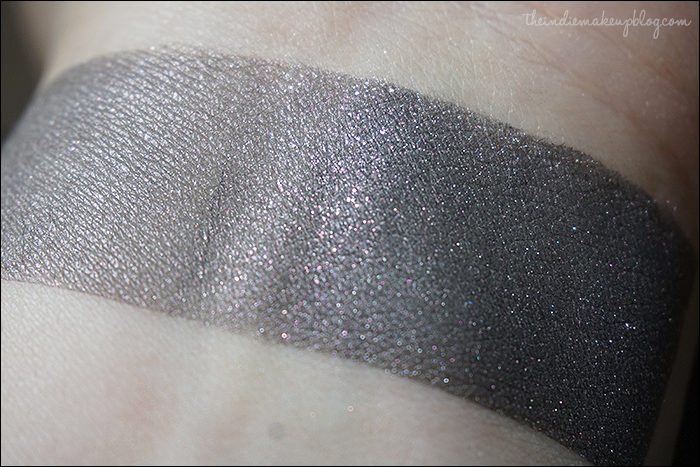 This was one of the more sparkly shades though my camera couldn't quite capture it. The color lightens and gets bronzier over a sticky base. 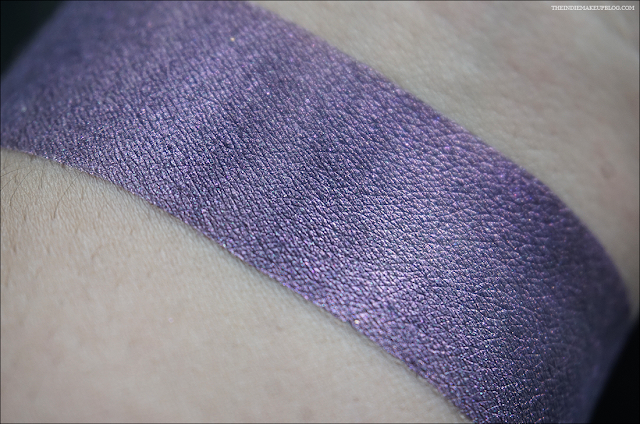 Hotel Hell is a dusty purple with a matte finish. 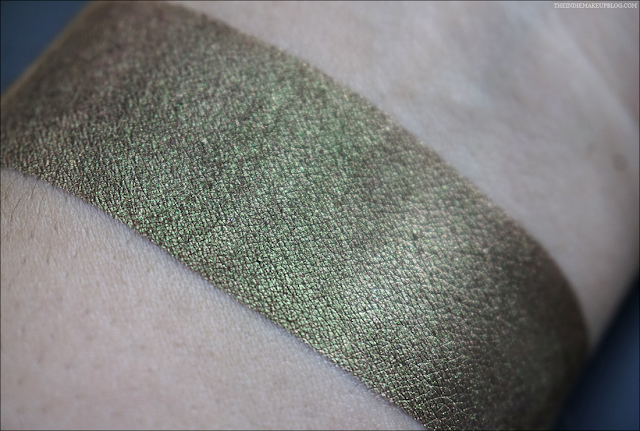 Although DG is mostly known for their shimmery and sparkly eyeshadows, their mattes are actually pretty nice too. I use them regularly and although they don't top Blackbird's formula, they perform just as well as my Shiro, Notoriously Morbid, and Corvus mattes. Onryo (Vengeful Spirit) is a shell pink with light green shimmer. I've been using this color a lot as an inner corner highlight and I also used it as the center lid shade in one of the looks below. Do You Like Scary Movies is a midtone purple with soft pink shimmer. Depending on the lighting this shade can look cooler or warmer. 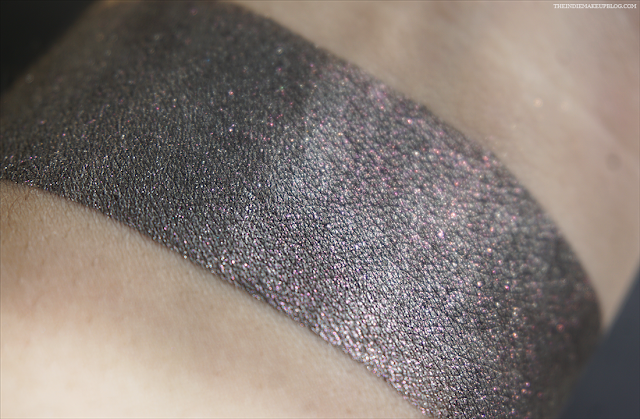 Got Face is a gunmetal grey shimmer with pink sparkles. This shade is similar to Baroque National Razor but has a slighter darker base and a more pigmented formula. Hello, Clarice is a dusky indigo base with pink shimmer. 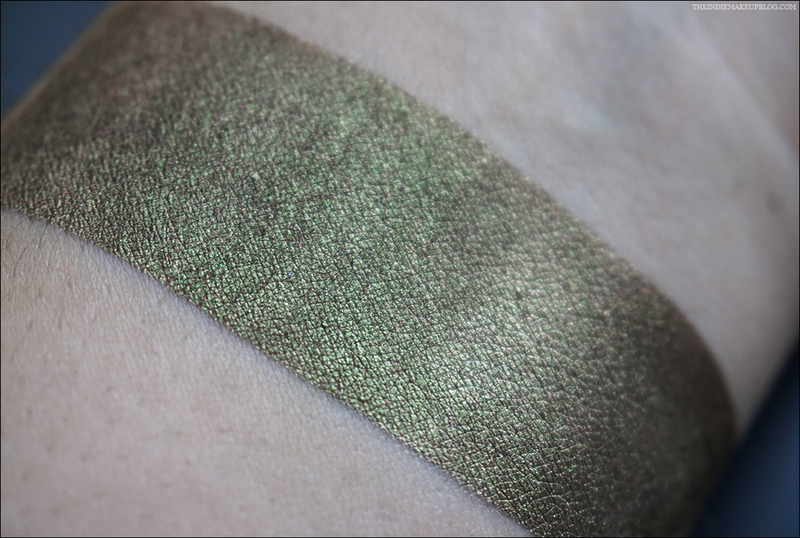 DG Bodice Ripper and Hello, Clarice through the crease, Onryo as the middle highlight shade, Do You Like Scary Movies and Hotel Hell on the outer lid. Blackbird Thirteen and Fire Pledge in the crease, DG There Is No Dana and Bronze Dawn on the lid, and If I Only Had a Heart on the inner corner.